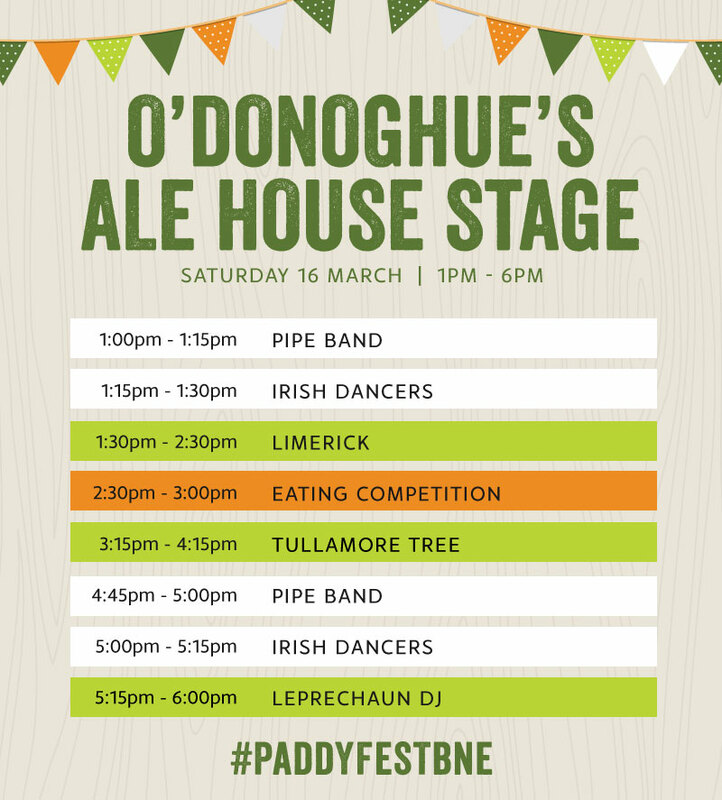 Paddyfest Central celebrates all things Irish, so if you’re a proud Irishman (as they say, “Everybody’s Irish on St Paddy’s Day!”), head here for pints of green beer & Guinness, the Irish-inspired Diddly Dee Food Truck and great craic! Dance along with the roving pipe band and do the jig with the Irish dancers. Located directly next the Main Stage you definitely won’t miss the classic rock bands & folk ensembles that will have you shamrock’n’rollin all day long! O’Donoghue’s Ale House if you can’t go past an Irish pub, then you belong at O’Donoghue’s Ale House – the atmosphere will be lively and the setting will make you feel like you’re in an old Dublin tavern. 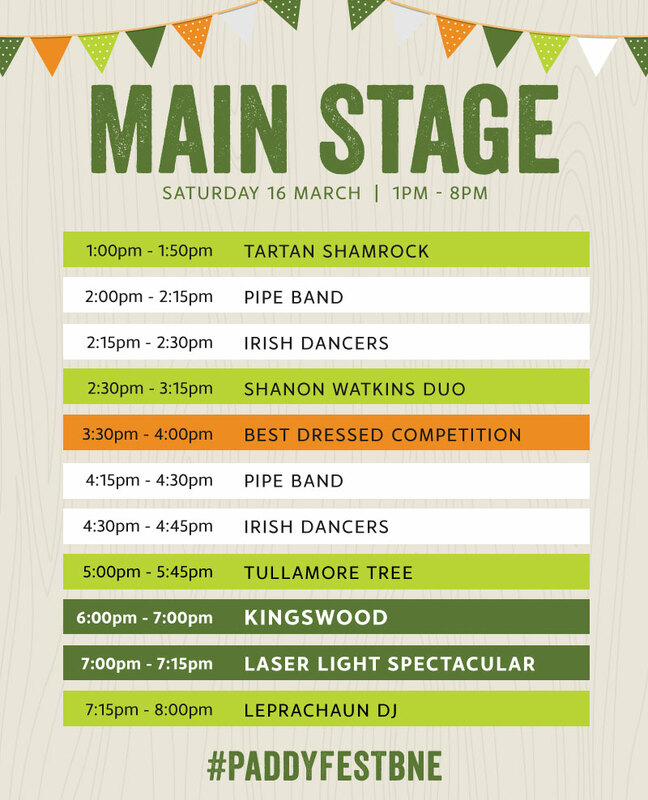 There will be live Irish bands playing all day so be ready to jig! 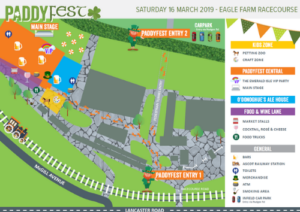 Little Leprechauns Kids Zone goes off in 2019 as we’ve got some of the finest circus acts, temporary tattoos & hairspray, arts & crafts and music to have the wee lads and lasses spoilt for choice! Will you visit Bazil Grumble’s Craft Castle OR pat a baby lamb at Scruffy Murphy’s Animal Farm – you can do it ALL with a kids ticket including unlimited access to all activities! Food & Wine Lane is for those looking for festival vibes but a little more international flavour! This is a relaxing place to enjoy some wine tasting, a Baileys martini or indulge in a cheese platter. LASER LIGHT SPECTACULAR at 7PM!